Elissa Blair Slotkin was born in New York City on July 10, 1976. Slotkin spent her early life on a farm in Holly, Michigan, roughly halfway between Flint and Detroit. She attended Cranbrook Kingswood School in Bloomfield Hills. That terrible day changed the trajectory of my life. I decided that after graduate school, I would join the intelligence community and to work to prevent future terrorist attacks against the United States. I was recruited to join the Central Intelligence Agency as a Middle East analyst, and within a year of joining the agency, I was deployed to Baghdad to serve alongside America’s soldiers and diplomats, doing my part to help in very complicated war. I served a total of three tours in Iraq over a span of five years. In 2001, she completed a course in the Arabic language at The American University in Cairo and earned her M.A. from Columbia in 2003. Her early employment included: community organizer for Roca, Incorporated (1998-2000) and Swahili language translator for Harbor Area Early Childhood (1999-2000), both in Massachusetts; grant writer at Isha L’Isha (Women to Women) (2000-2001), and interned at the U.S. Department of State (2002). Slotkin worked as a political analyst (2003-2004) and intelligence briefer (2004-2005) for the Central Intelligence Agency. From 2005 to 2006, she was a senior assistant on the staff of the Director of National Intelligence. She was the leader of a CIA assessment team in Iraq from 2006 to 2007, and the National Security Council staff’s director for Iraq policy from 2007 to 2009. From 2009 to 2011, Slotkin was a senior advisor on Iraq policy at the U.S. State Department and, in 2011, she joined the staff of the Under Secretary of Defense for Policy as an advisor on Middle East policy. In 2012, Slotkin became chief of staff for the Assistant Secretary of Defense for Policy and, later that year, was appointed Principal Deputy Assistant Secretary of Defense for Policy. 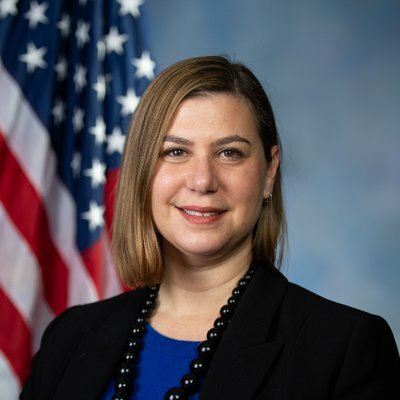 Slotkin was appointed Principal Deputy Under Secretary of Defense for Policy in 2013 and, in 2014, she was appointed as Principal Deputy Assistant Secretary of Defense for International Security Affairs. From 2015 to 2017, Slotkin was acting Assistant Secretary of Defense for International Security Affairs where she oversaw policy related to Russia, Europe, the Middle East and Africa. After leaving the Defense Department in January 2017, Slotkin moved back to her family’s farm in Holly, where she owned and operated Pinpoint Consulting. In July 2017, Slotkin announced her candidacy for Michigan’s 8th District. She said she was motivated to challenge two-term Republican incumbent Mike Bishop when she saw him smile at a White House celebration after he and the Republicans in the House of Representatives voted to repeal the Affordable Care Act. She was provoked by the memory of her late mother, who discovered her insurance had lapsed after being diagnosed with ovarian cancer and incurring tens of thousands of dollars of medical bills. In November 2018, Slotkin defeated Bishop with 50.6% of the vote. In an interview with the JTA, Slotkin said Jews she met were more intrigued by her life on a farm than her work at the CIA. “I keep hearing, ‘The only Jewish farmers I know are on kibbutzim,’” she said. Slotkin’s husband Dave Moore retired as an Army colonel and Apache helicopter pilot. They met in Baghdad during the Gulf War and reside in Holly. Slotkin has two stepdaughters, one an Army officer, and the other a physician.